Being a parent time to ourselves is considered a luxury, even a trip to the toilet is accompanied by a toddler who has a million and one questions and likes to play in water. 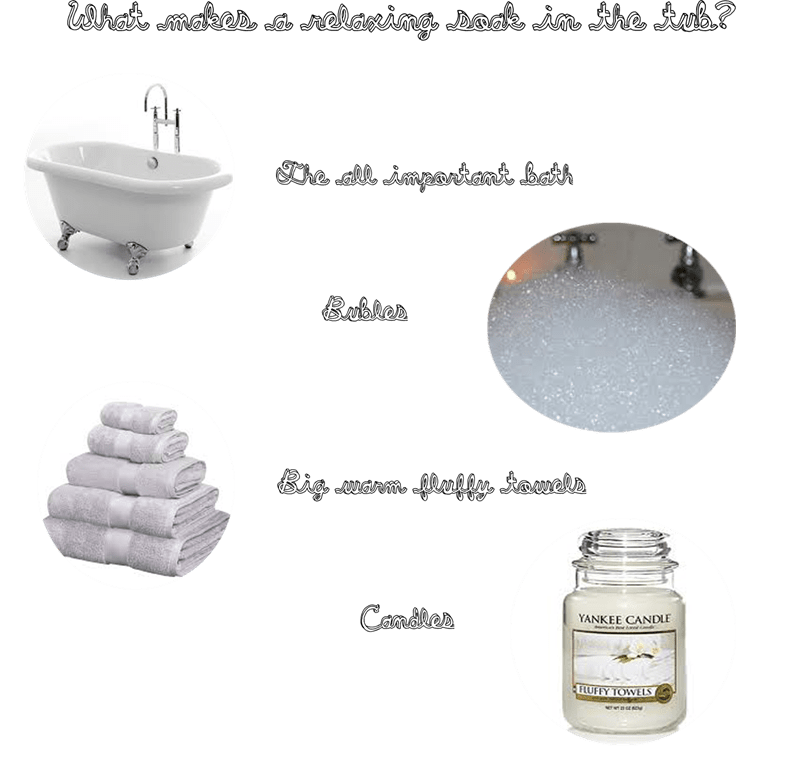 Having a bath or a shower alone never happens while the little one is awake, any attempt at a relaxing bath if followed by a loud shriek of “BUBBLES”, toys being thrown into the bath, being joined by the toddler and resulting in more water being on the bathroom floor than there is left in the bath. While I don’t actually mind it too much, I long for just some adult time to relax after a day of chasing her around, cleaning, working etc. For now my bath times are reserved for when the little lady is tucked up in bed. When I do happen to get a chance to soak in the tub minus the toddler, it’s far from a relaxing experience. You see my bathroom is a small cramped, damp, cold tiny room at the end of the house. It’s the room we have left to decorate as we have nothing but problems from leaks, damp rotten floorboards and a shower that simply trickles. The whole room is not big enough to swing a cat in, and can barely fit two people in at one time in fact it is no larger than your average sized garden shed. It’s the coldest room in the house, seriously it’s almost artic in there, you can see your breath and no matter how long you have the heating on, it makes no improvement. Bath times in our house are not a pleasurable experience, I think I currently hold the record for the quickest bath in our house due to the frosty temperatures. Last year we discovered that one of the waster water pipes had corroded, we only discovered this of course after the entire bathroom flooded when we had the washing machine on and emptied the bath. A year later we still haven’t been able to replace the flooring and you can still smell the damp. The vinyl floor needs replacing but we really don’t want to do that when the whole bathroom could do with a new lease of life. We have a shower which gets more use than the bath itself simply because its quick, it’s an electric shower which I love as we don’t have to wait for the water to heat up before we can use it but it simply trickles water out, the thing is ancient, not the lovely power shower with different settings to relax those tired muscles that I long for. The toilet, almost trapped to the side of the sink has it’s own issues, with every flush the handle loosens and at least once a day it falls off completely. I’d like to say that the exposed pipes and plumbing give the bathroom character but the plastic and copper pipes do not do the room any justice. The whole bathroom is a disaster zone as you can see from the pictures, my bathroom is a far cry from a tranquil, relaxing place. 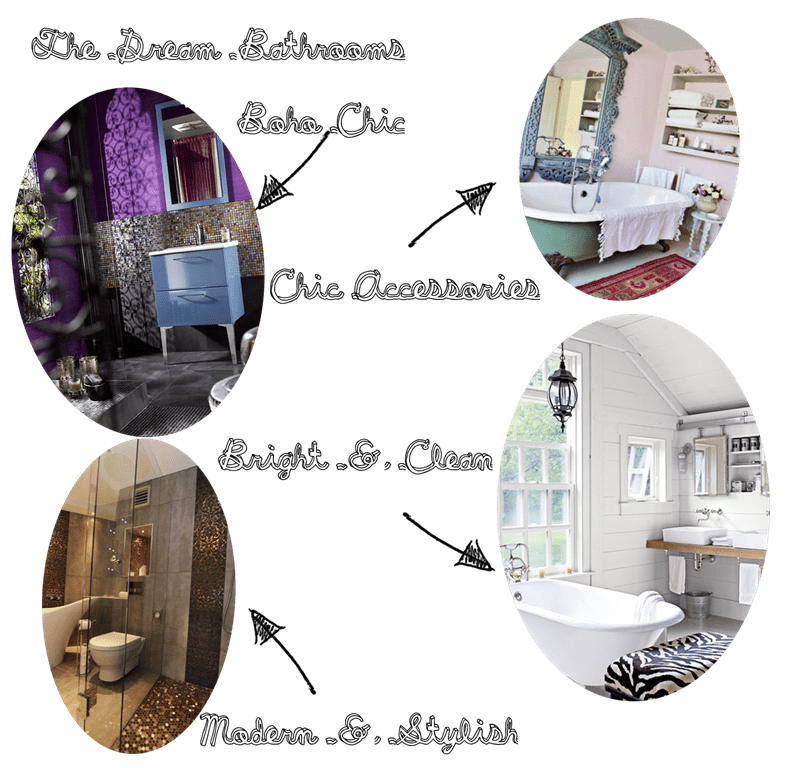 I had began compiling lists and pin boards of how I wanted my bathroom to look, I lost hours on Pinterest drooling over suites and fittings. 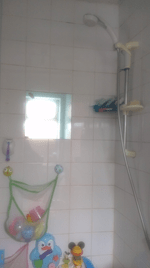 Back to our bathroom….we lack storage, our towels are hung on the back of the door, there is no organisation except for the toy nets that hang on the tiles. I dream of a heated towel rail and a place to store my toiletries without having to keep them in the utility room or fighting with the window to get it to open whilst precariously balanced on the toilet seat. Did I mention that my bathroom would not look out of place in a 1970’s bedsit, you know the kind with the beige bathroom suite and lacks personality. There are no redeeming features and I can honestly say there is nothing in the whole room that I like. The tiles look grubby despite my constant cleaning and scrubbing and the sealant around the bath has mould, MOULD! Our bathroom has become somewhat of a running joke, the shower curtain rail repeatedly falls down when you least expect it. I have be clonked on the head numerous times mid shower and had to wrestle with the curtain to get out. I know my bathroom is not large enough but I dream of a large walk in shower and a large tub to soak in at the end of the day. My dream bathroom would have exposed brick walls, dark wooden floors, a fashionable bathroom suite with waterfall taps and storage to keep all of our toiletries and niggly bits hidden and out of reach from tiny little toddler hands. We honestly do not need anything expensive, no super powered jet baths, just a simple clean and pleasant place to be in, a clean slate is what we need. I can jazz it up with accessories, a place to store some lovely warm fluffy towels. I’ve picked out a fab bathroom that would suit our needs from Bathshop321 so I would like to base my redesign around that. Is it too much to ask for to have an hours luxury, perhaps with a glass of wine, some candles in a nice heated room? My own sanctuary and a place I can take some time out….a girl can dream right?